So Tom and I got back on the road again yesterday for our 3 weeks travelling the North Island. 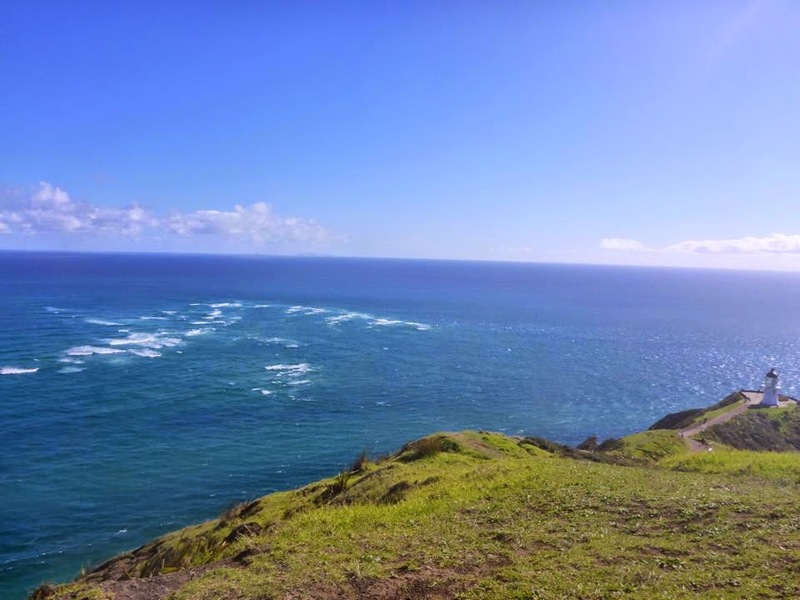 Today we took the incredibly long drive up to Cape Reinga; which I believe is the furthest point you can get to on the North Island. The drive is lengthy, yes, but on a beautiful sunny day like ours was you will be wowed with some pretty nice views. The walk is short and relatively easy. There is a cute little lighthouse at the bottom, but for me the most spectacular part of the visit was being able to watch the joining of two oceans - the Pacific and the Tasman. The views are gorgeous and it's no wonder why the Maori believe it's the place where all the spirits come to when their people die. 90 mile beach was our next stop and for me it was something I was very excited about! We don't drive a 4x4 and we certainly don't drive a car you would happily take for a spin on just any beach - but 90 mile is a beach pretty much any car can be driven on (except for rental cars, strictly speaking they don't allow it.) There's something about driving on the beach that gave us a real adrenaline rush. Perhaps it was speeding across the sand at 90km/h all the while the tide was looming in closer and closer. We eventually reached the end of the beach and perhaps a 4x4 would have been a better choice of car after all. We found the beach to be littered with some pretty large, pointy rocks and not the kind you could comfortably drive over and come out with pristine tyres. The next nearest exit was back in the direction we had come and was quite a drive away, by this point we were almost out of fuel. And with the tide almost upon us, there was no choice but to drive through some shallow pools. Cue steam, lots of steam, and a yucky whizzing noise. Oops.